One of my favorite things about the holiday season is all of the holiday movie specials. I cannot get enough of them. The old classics like Miracle on 34th Street, to A Christmas Story, to Home Alone that I remember seeing in the movie theatre when I was in like the 2nd grade. I also love all the newer holiday classics like Elf and Jim Carey’s Christmas Carol and How the Grinch Stole Christmas. I even get sucked into the Hallmark and Lifetime Christmas movie marathons that are somehow so cheesy that they make me scream…. With joy! Haha! But my absolute favorite Christmas movies are the animated Christmas specials, like Charlie Brown Christmas and Frosty the Snowman. It is hard to believe that these simple cartoons have been bringing Christmas joy, happiness, and magic to children for decades. I must watch these classic cartoons every year for those few moments of childlike innocence! 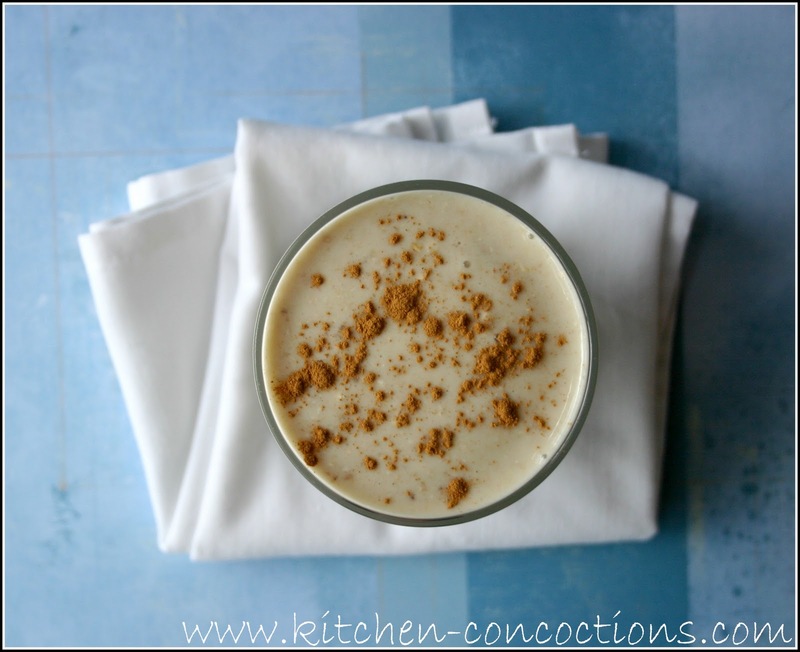 In honor of that special Christmas cartoon I have a cute recipe for today. 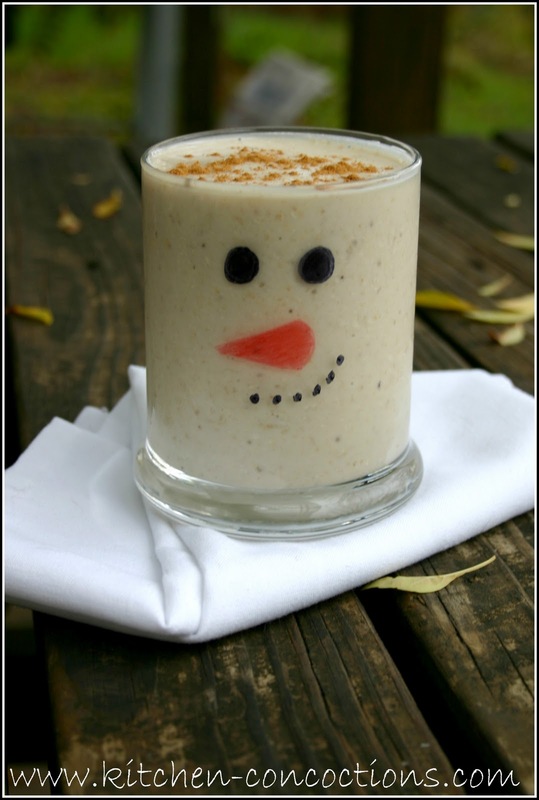 Frosty the Snowman Smoothies served in glasses made to look like none other than Frosty, himself! I decorated my frosty glass using colored sharpies but you could also use paint and decorate plastic cups. 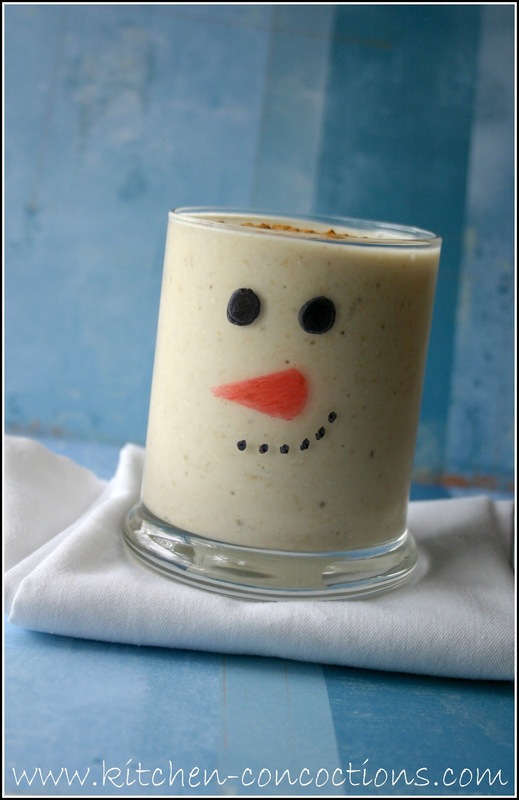 These cute cups can be the base for a million different things; a vanilla milkshake (yup), white candy (heck yeah), vanilla pudding (why not), egg nog (of course), but since this is a breakfast countdown I guess we’ll just do a healthy flavorful smoothie for now! Thumbs up from our whole family. We loved it!